Price: $1.99 (as of 08/31/2014 at 4:30 PM ET). New York City's oldest and largest medical center is the scene of a ghastly attack: top neurosurgeon Gemma Dogen is found in her blood-soaked office, where she has been sexually assaulted, stabbed, and designated by the cops as a "likely to die." By the time Alex has plunged into the case, it's a high-profile, media-infested murder investigation with a growing list of suspects from among those who roam the hospital's labyrinthine halls. As Alex's passion to find the killer intensifies, she discovers this hospital is not a place of healing but of deadly peril — and that she is the next target for lethal violence. Price: $0.99 (as of 08/31/2014 at 4:00 PM ET). The book club members seem too sweet to be killers, but Myrtle knows better than to judge books by their covers. 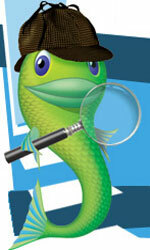 Myrtle's investigation into the murder will take a more novel approach than her police chief son's by-the-book methods. Can Myrtle and her widower sidekick uncover the killer … before he writes them off for good? Price: $0.99 (as of 08/31/2014 at 3:30 PM ET). Tenzing Norbu ("Ten" for short) — ex-monk and soon-to-be ex-cop — is a private investigator in Los Angeles. Growing up in a Tibetan Monastery, Ten dreamed of becoming a modern-day Sherlock Holmes. So when he was sent to Los Angeles to teach meditation, he joined the LAPD instead. But as the Buddha says, change is inevitable; and ten years later, everything is about to change — big-time — for Ten. One resignation from the police force, two bullet-wounds, three suspicious deaths, and a beautiful woman later, he quickly learns that whenever he breaks his first rule, mayhem follows. Price: $1.99 (as of 08/31/2014 at 3:00 PM ET). 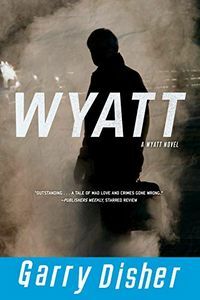 Wyatt has a job — a jewel heist. The kind Wyatt likes. Nothing extravagant, nothing greedy. Stake out the international courier, one Alain Le Page, hold up the goods in transit and get away fast. For a list of more new hardcover titles to be published this month, visit our New Mysteries page for August 2014. 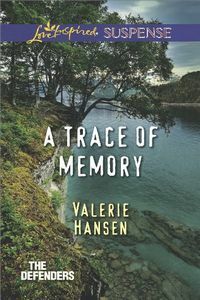 For new paperback mysteries, visit The Mystery Bookshelf where a selection of August 2014 mysteries, novels of suspense, and thrillers are shelved. Emma Landers has amnesia. Problem is, she can't remember how she got it, why she's injured or why someone wants to hurt her. When she lands on the doorstep of former love Travis Wright, she can barely remember their past history. But she knows she can trust him to protect her. The handsome farmer was heartbroken when Emma left him for the big city. But there's no way he can send her away when gunshots start flying. Now Travis must keep Emma safe while helping her piece together her memories — before it's too late. Price: $0.99 (as of 08/31/2014 at 1:00 PM ET). Winner of the 2004 Shamus Award for Best PI Paperback Original. When an expert falconer is found shot to death, P.I. Frank Pavlicek smells something far more deadly than a simple hunting accident. Something is contaminating the surrounding woods-something the Feds don't want to discuss. Seeking justice for his friend's life, Pavlicek threatens to uncover a group of domestic terrorists with a chilling agenda. Lori Rader-Day's 2014 debut thriller has this title, with "The" (9 letters). 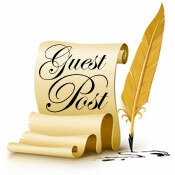 We are delighted to welcome mystery author Kristi Belcamino to Omnimystery News today. 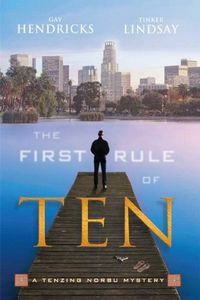 Kristi's second mystery to feature San Francisco reporter Gabriella Giovanni is Blessed Are the Meek (Witness Impulse; July 2014 trade paperback and ebook formats) and in today's guest post she writes about the setting for the series. When I first sat down to write Blessed Are the Dead, the first book in my series featuring San Francisco Bay Area crime reporter Gabriella Giovanni, I hadn't lived in California for seven years. I based my descriptions on locations in the Bay Area on memory alone, which, let's face it, the older I get, the less reliable that becomes. So, this summer, knowing I was about to embark on writing book three in the series, I included a trip to the Bay Area as part of my summer vacation. My husband was impressed that after so many years away, I had described the rectory perfectly in my book. It was everything I had remembered and more. And my priest friend was larger than life. He is more charming, more joyful, and more stylish than my book's character. Some people might think the priest character in my book is exaggerated, but let me tell you it is only a shadow of the man who inspired the character. In San Francisco, we headed to the North Beach part of town (The Italian section where Gabriella lives) and we visited Saints Peter and Peter Church. Of course, we stopped for a coffee at Café Roma. Met a writer friend at City Lights Bookstore (Hi David!) and then had beers (Stella Artois for me of course!) and bruschetta at a sidewalk café. And we shopped! I picked up items to giveaway to newsletter subscribers and bought a cool poster of Italy for my kitchen. Back home in Minneapolis, I am geared up, inspired, and ready to dive into book three, Blessed Are Those Who Weep, knowing that I will visit the Bay Area again, maybe next year in real life, but I'll be there next week in my new novel! Kristi Belcamino is a writer, artist and photographer who makes a tasty biscotti. Her first novel, Blessed Are the Dead, was inspired by her dealings with a serial killer during her life as a Bay Area crime reporter. Her work has appeared in such prominent publications as Salon, the Miami Herald, San Jose Mercury News, and Chicago Tribune. She now works part-time as a police reporter at the St. Paul Pioneer Press. For more information about the author, please visit her website at KristiBelcamino.com or find her on Facebook and Twitter. A rash of high-profile murders all point to reporter Gabriella Giovanni's boyfriend, Detective Sean Donovan, when investigators uncover a single link in the deaths: Annalisa Cruz. A decade ago, Cruz seduced Donovan away from a life as a monk, and though their relationship soured long ago … her passion for him has not. As the investigation continues, it becomes increasingly clear that any man who gets involved with Cruz soon ends up dead, including a dot-com millionaire, the mayor of San Francisco, and a police officer. Donovan, the only man to have dated Cruz and survived, is arrested for the murders and dubbed a jealous ex, leaving Gabriella scrambling to find the real killer without ending up as the next body headed for the morgue. Gabriella's search ultimately unearths a dark secret that Donovan had intended to take to the grave. Faced with the knowledge of this terrible truth, Gabriella must tie the past and present together to clear Donovan's name. 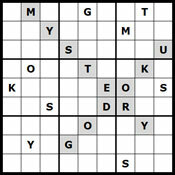 … as today's second free mystery ebook. 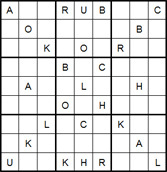 This is a repeat freebie that was last featured on our site on May 06, 2013. This title was listed for free as of August 31, 2014 at 7:10 AM ET. Prices are subject to change without notice. The price displayed on the vendor website at the time of the purchase will be the price paid for the book. Please confirm the price of the book before completing your transaction. In the historic port city of Wilmington NC, every old house has a ghost. The mansion Ashley Wilkes, historic preservationist, is restoring, with its crescendo-thumping spectral organist, is no exception. 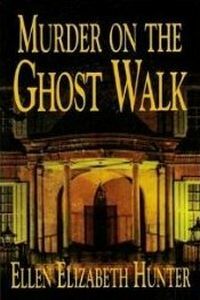 When Ashley makes a grisly discovery, the residents of quiet, quaint Orange Street are horrified. Halloween weekend finds Ashley and Melanie dressed to kill at the Cape Fear Crime Festival's costume party where an evil trickster treats them to murder. This title was listed for free as of August 31, 2014 at 7:00 AM ET. Prices are subject to change without notice. The price displayed on the vendor website at the time of the purchase will be the price paid for the book. Please confirm the price of the book before completing your transaction. 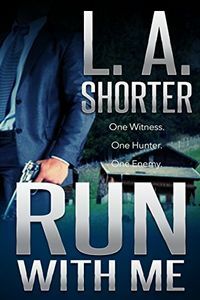 After witnessing her boss shooting a man dead, Kitty Munroe has no choice but to go on the run. The man she works for, Michael Carmine, isn't the sort of person to leave a witness to his crime, and Kitty knows that not even the police will be able to protect her. Colt Tanner lives in the shadows, tracking and tracing targets and delivering them to the client. When Michael Carmine hires him to track a young woman, Colt doesn't ask questions. 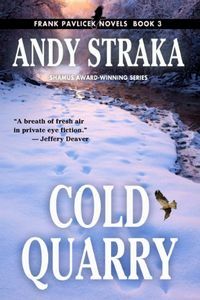 Still haunted by the deaths of his wife and young daughter several years ago, he spends his life seeking revenge on the man responsible, working through the criminal underworld in a bid to hunt down the truth. When Colt begins tracking Kitty, it grows clear that he's not the only one after her. Soon a series of events is set into motion that will lead both Colt and Kitty to work together against a common enemy. Can they both settle the demons of their past and finally look to the future? 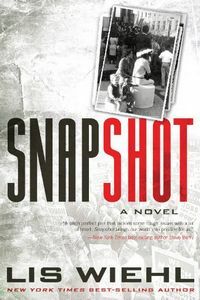 Omnimystery News is pleased to feature Snapshot by Lis Wiehl as today's Nook Daily Find. The deal price of $2.99 is valid only for today, Sunday, August 31, 2014. Price: $2.99 (as of 08/31/2014 at 6:30 AM ET). The Civil Rights Movement is less than a distant memory to Lisa Waldren — it is someone else's memory altogether, passed on to her through the pages of history. Her life as a federal prosecutor in Boston feels utterly remote from the marches in the South that changed her father's generation — and the entire nation — forever. When a photograph surfaces showing a blond, four-year-old Lisa playing with an African-American girl at a civil rights march in Fort Worth, Lisa is faced with a jarring revelation: the girls may have been the only witnesses who observed the killer of civil rights leader Benjamin Gray … and therefore the only ones who can exonerate the death row inmate falsely accused of the murder. 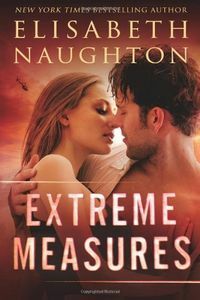 Omnimystery News is pleased to feature Extreme Measures by Elisabeth Naughton as today's Romantic Suspense Kindle Daily Deal. The deal price of $1.99 is valid only for today, Sunday, August 31, 2014. Price: $1.99 (as of 08/31/2014 at 6:20 AM ET). 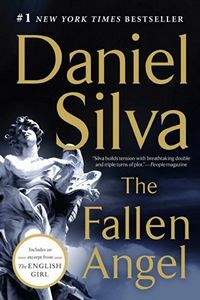 Omnimystery News is pleased to feature The Fallen Angel by Daniel Silva as today's Kindle Daily Deal. Price: $1.99 (as of 08/31/2014 at 6:10 AM ET). After narrowly surviving his last operation, Gabriel Allon, the wayward son of Israeli intelligence, has taken refuge behind the walls of the Vatican, where he is restoring one of Caravaggio's greatest masterpieces. But early one morning he is summoned to St. Peter's Basilica by Monsignor Luigi Donati, the all-powerful private secretary to His Holiness Pope Paul VII. The body of a beautiful woman lies beneath Michelangelo's magnificent dome. The Vatican police suspect suicide, though Gabriel believes otherwise. So, it seems, does Donati. But the monsignor is fearful that a public inquiry might inflict another scandal on the Church, and so he calls upon Gabriel to quietly pursue the truth — with one caveat. 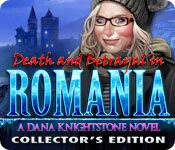 • The New Release is Death and Betrayal in Romania: A Dana Knightstone Novel (Collector's Edition). 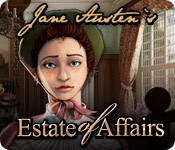 • The Daily Deal is Jane Austen's: Estate of Affairs, just $2.99 today only! 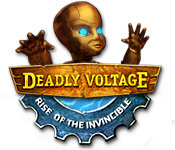 • The current Catch of the Week is Deadly Voltage: Rise of the Invincible, just $2.99 through Sunday, August 31, 2014 only. • Today's Special Deal — Labor Day Sale: All games are Two for the Price of One! Use coupon code LABOR for Collector's Edition games and use coupon code DAY for Standard games. Offer valid through September 1st, 2014 only until 11:59 PM PT. This is a special Collector's Edition release full of exclusive extras you won't find in the standard version, including: Bonus chapter: Unravel a brand new ghost story in the castle; Replayable cutscenes, music, wallpaper and concept art; Strategy Guide; and Achievements. A mysterious force from a parallel universe wreaks havoc on a small town as a scientist fights to stop it from taking over the world! With its dazzling animation, super-charged gameplay and electrifying story, this is a hidden object adventure for all ages! Plug in today! Price: $3.99 (as of 08/30/2014 at 5:00 PM ET). 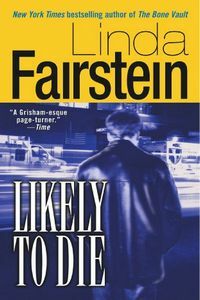 Previously published in paperback by Harlequin in 1994. Marissa Gilmore searches the sea's edge for an escaped dolphin only to find the sleek mammal pushing a body ashore. 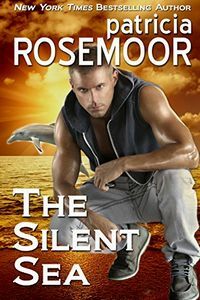 The dolphin is the only witness to murder, and only Marissa can find a way to discover its secrets. Now, deep in the Florida Keys at a marine mammal refuge, Marissa wants to heal the dolphin, while Riley O'Hare wants to free it. Riley's lips speak contempt for her job as a marine mammal trainer, but his eyes kindle a fiery passion in her. Price: $2.99 (as of 08/30/2014 at 4:30 PM ET). When novice P.I. Geri Sullivan first heard her adopted Chihuahua talk, she thought she'd gone barking mad. 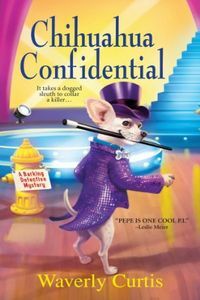 But it turns out Pepe is a savvy sleuth — and if he has his way, he'll soon be a bone-a-fido celebrity, too, as Pepe and Geri are Hollywood-bound to star in the reality show Dancing With Dogs. So far, so bueno. Price: $3.99 (as of 08/30/2014 at 4:00 PM ET). All Daisy Savage wants is a vacation. A romantic getaway with her husband. Seven blissful days at a fancy resort to relax, recharge and renew. What she gets instead is a dead body at a campground. 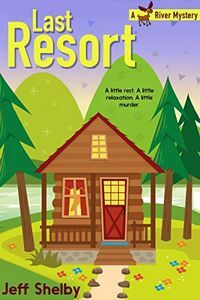 When Daisy and her husband Jake head north to Minnesota's lake country for a weeklong stay at a lakeside retreat, they're surprised to find out the place they've won a trip to is neither lakeside or much of a retreat. Stumbling upon a dead body makes the place even less attractive. The charms of the campground begin to grow on Daisy, however, and she can't help but be troubled by the bad luck that seems to be raining down on Delilah, the quirky owner of Windy Vista. The more questions she asks, the more things don't add up. And the more curious Daisy becomes. Despite Jake's pleas to end her amateur investigating, Daisy finds herself in the middle of trying to save the campground from ruin. Doing so, though, puts her in the middle of vandals, liars, thieves and … a murderer. Which turns out to be anything but a vacation. Price: $2.99 (as of 08/30/2014 at 3:30 PM ET). Spring is in the air, but the ladies of the Cumberland Creek Scrapbook Crop hardly have time to stop and smell the roses. 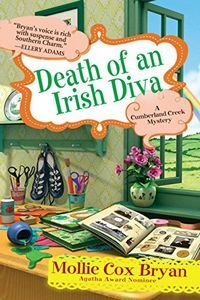 Not when famed Irish dancer Emily McGlashen is found murdered in her studio just after the St. Patrick's Day parade — and one of the Crop's own members is the prime suspect. Vera's dance studio may have suffered when Emily waltzed into town, but the croppers know she's not a vengeful murderer. Lucky for her, co-scrapbooker Annie is a freelance reporter eager to vindicate her friend. 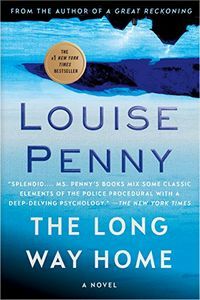 What she discovers is a puzzling labyrinth of secrets that only add question marks to Emily's murder. 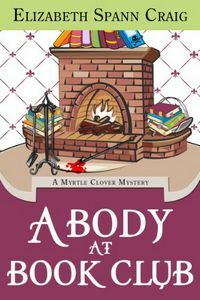 Just when it seems they've run out of clues, an antique scrapbook turns up and points the croppers in the right direction — and brings them face to face with a killer more twisted than a Celtic knot.